Arabic is my mother tongue and. I graduated from faculty of Arabic studies, in 2012.By 2008, I started a postgraduate program in Arabic literature and Islamic studies. 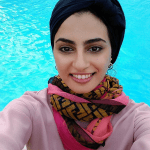 About my work Experience, I start working as Arabic teacher for non-native speakers in a private Egyptian institution on line in Cairo where I was teaching and preparing curriculum for different programs . Moreover, I participated in training Arabic teachers to be able to teach Arabic for non-native speakers,with different nationalities " American, British , french , Belgian ِand Turkish , I also worked with individuals and groups of Arabic students who have different background in different levels.